10 images. 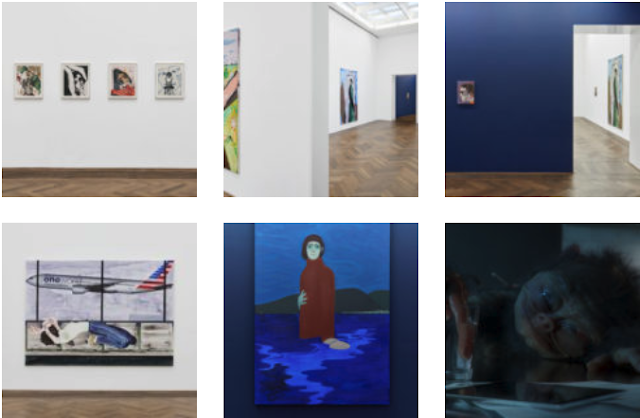 Of which 7 installation views, 2 photos of paintings on walls straight, and one promotional still from a movie yet to play. Kunsthalle Basel has always been pretty miserly with their images, but this is a new low. The old low is 11 images acting as documentation but mainly just letting you know it happened through the window you have your faced pressed up to look in on. They come in a packet on the website marked "Press images." Like we we've glued are lips to promotional pamphlets.